The long-anticipated Black Panther film is finally joining the Marvel Cinematic Universe, and just like any of the other Marvel movies; it does not disappoint. 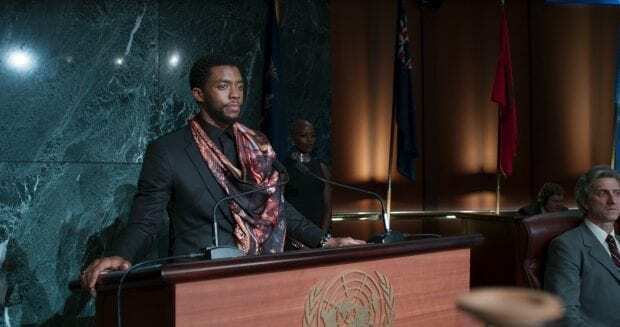 Black Panther picks up right where Captain America: Civil War left off with T'Challa, played by Chadwick Boseman, is returning home to Wakana. Wakanda to the rest of the world is the poorest nation that is often considered a primitive area. But that couldn't be further from the truth. As it was revealed in Avengers: Age of Ultron and Captain America: Civil War, Wakanda has been hiding something. Black Panther is in theaters on 2/16 get your tickets now! After the death of his father, T'Challa returns home to the African nation of Wakanda to take his rightful place as king. When a powerful enemy suddenly reappears, T'Challa's mettle as king — and as Black Panther — gets tested when he's drawn into a conflict that puts the fate of Wakanda and the entire world at risk. Faced with treachery and danger, the young king must rally his allies and release the full power of Black Panther to defeat his foes and secure the safety of his people. We are plunged into a world that is more technologically advanced than any nation in the world because of the use of vibranium. It is woven into the clothing and is the source of power for the Wakandans. 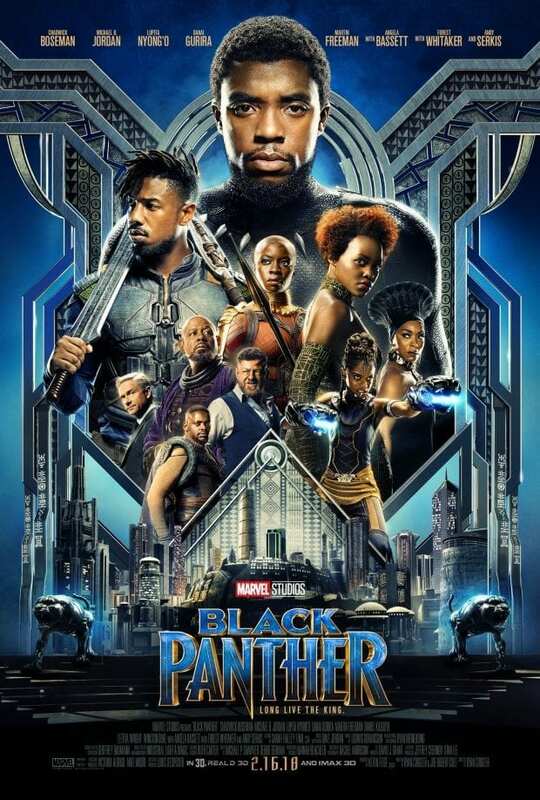 What I loved most about this movie is that despite starting in the present day, they still went back to give you a history of Wakanda and the Black Panther's of the past. In a nation run by the tribes' traditions, it's important to learn about all of those roots. Shuri steals the movie. Black Panther has a great group of amazing black women. They are fierce and unstoppable, but when you need it most, Princess Shuri (Letitia Wright) is there to offer some comic relief. 1. Marvel’s Black Panther character made his debut in the comic book world in “Fantastic Four Vol. 1” Issue 52, published in 1966.In the Marvel Cinematic Universe, Wakanda made its first debut in Iron Man 2 on a map discussing vibranium. We got our first look at Black Panther in Captain America: Civil War. 2. In the film, the actors speak in one of South Africans official languages, Xhosa. A precedent had been set in Marvel Studios’ “Captain America: Civil War,” when celebrated South African actor John Kani, who portrayed King T’Chaka, used his native accent. Chadwick Boseman, who plays T’Challa/Black Panther, picked it up from him as well. 3. 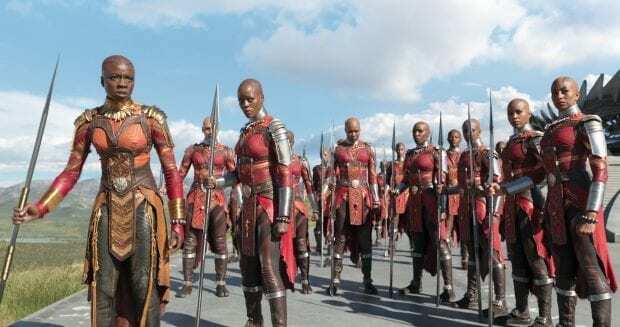 Dora Milaje, the cadre of strong, fierce women who serve as the personal security force to the King and the royal family. These tall, statuesque, bald warrior women, who move as one, command attention wherever they go. They remind me of the Asgardian Valkyries that we see in Thor: Ragnarok who were an elite group of female warriors that served Odin's special forces. The neck rings worn by Danai Gurira as Okoye were patterned after the neck rings worn by the women of the Ndebele tribe. For shooting purposes, however, they were remade in rubber. 4. The music choices in the film also gave us a look into African culture. The cast and stunt team practiced with African drums played by musician Jabari Exum so that their movements would have a musical quality found in many African-based martial arts. This is something that stood out and really gave Black Panther the “tribe vibe.” I found myself thumping to the beats of the drums and swinging of the weapons. 5. The cast did their own stunts. A majority of the cast did their own stunts including Chad Boseman (Black Panther) who has a background in martial arts. But it was noted in Captain America: Civil War that Boseman brings his own fighting style to Black Panther that really is like watching a slick and fierce jungle cat strut into a room and then gracefully tear it down. 6. Are they related? Young Zuri is played by Denzel Whitaker. While he shares the same last name with Forest Whitaker, who plays the older Zuri, they are not related. However, they did play father and son in Denzel Washington’s “The Great Debaters.” But guess who is related! South African actor Atandwa Kani plays the character of Young T’Chaka to his father and celebrated South African actor John Kani’s King T’Chaka. Pretty cool when you get to play your father's younger self in the movies. 7. 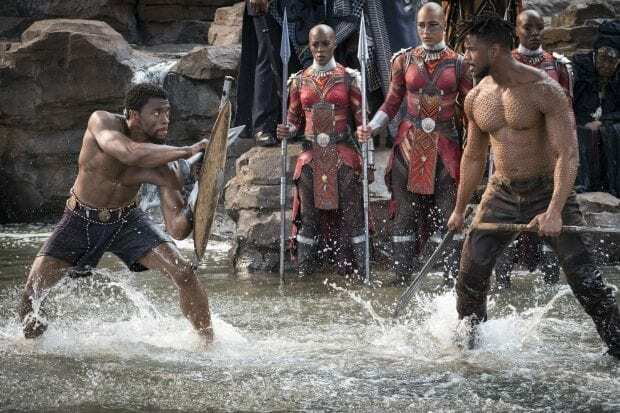 As I was watching Michael B. Jordan (Erik Killmonger) taking off his shirt, all I could think about (besides holy smokes) was how long he had to sit to have the scars put on his body! He spent about two and a half hours in the special effects makeup chair every day, while makeup designer Joel Harlow and three other makeup artists applied close to 90 individually sculpted silicone molds to his upper body. Each of Killmonger’s scars represents a “notch” of his kills over the years. 8. Shot in Atlanta! Shoutout to Atlanta for the majority of the filming from Black Panther. Pinewood Studios has become the Marvel spot for filming. 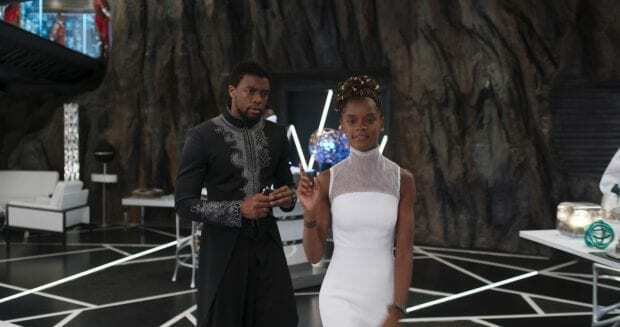 In Black Panther you'll see sets including the Tribal Council; the Wakandan Design Group, Shuri’s hive of research and development of the vibranium rich country; the ancient subterranean Hall of Kings; and most notably Warrior Falls, the ceremonial heart of Wakanda’s revered traditions. As well as the High Museum as the Museum of Great Britain and Atlanta's City Hall as the United Nations building. 9. The amazing Warrior Falls location – Scenes from Warrior Falls were my favorite because of the technology used in the fall as well as the tradition you see blend perfectly. The Warrior Falls set was 120’ x 75’ in size. The set was 36’ tall, with the pool being six feet above ground level. That made the cliff faces 30’ tall. Construction took about four months from start to finish. The entire cliff wall of the Warrior Falls, including the CG and practically built set, is 100 feet high. Over 25,000 cubic feet of foam was used in the Warrior Falls set, which was sculpted to match the rocks in Oribi Gorge in South Africa. The bottom of the Warrior Falls’ Challenge Pool was padded for the stunt team, but still looked like rock. 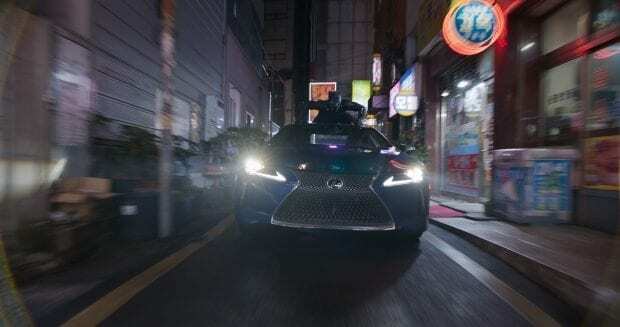 The production crew also had to formulate a surface that was rough enough to not be too slippery in bare feet, but not so rough that it hurt to land on it. On the Warrior Falls set, the stunt team had to rig all of the cliff faces with mountain climbing gear to safely secure all of the extras on the cliff faces. The production team engineered a fully functional flowing waterfall and pool at the ledge of the cliff with six large submersible pumps feeding over 125,000 gallons of temperature-controlled water piping up through the set at a rate of 30,000 gallons per minute before recirculating through the system. 10. Wakandas Five Tribes and their colors – You are introduced to the tribes early on in the movie but what you may not have noticed is that the characters are only dressed in specific colors to show which tribe they are from. Merchant tribe, Border tribe is blue (W'Kabi), Mining tribe and River tribe is green (Nakia). They all have access to different elevations throughout the stunning backdrop in Wakanda. They all serve a specific purpose as well. The people of the Border Tribe live on the borders of Wakanda and serve as the first line of defense for the country. The royal family is seen in black and white, and the Dora Milaje are in red. We don't see much of the Merchant and Mining tribes, but they are purple and red / maroon. The fifth is the Jabari tribe, a group of Wakandans who have shunned the use of vibranium and removed themselves from mainstream Wakandan life. The tribe leader M'Baku, played by Winston Duke, plays a role that upheaves the Wakandan traditions. They are painted white, wear furs and grass skirts. What makes Black Panther so special is the use of African traditions mixed with modern as well as historical issues. Not only with race but also in a nations ability to be “one tribe” with the world. Make sure you go see Black Panther! 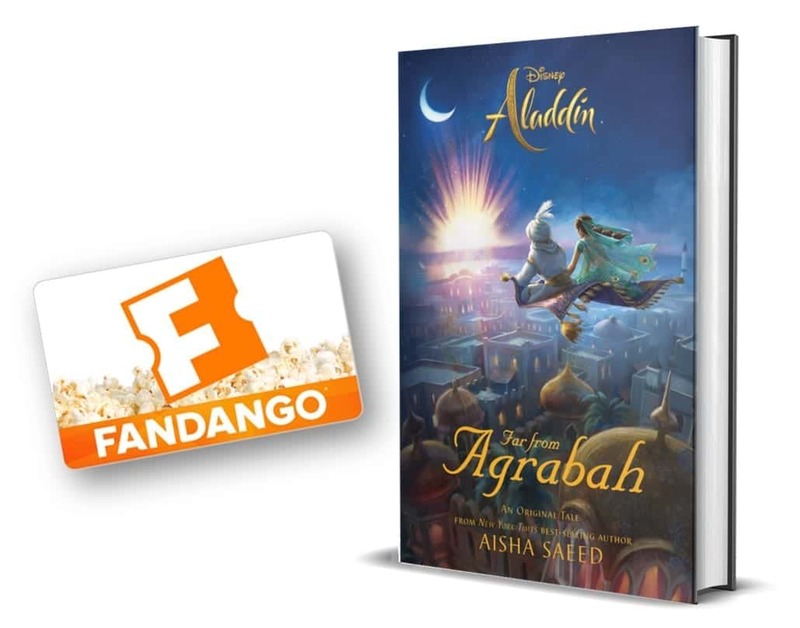 lots of fun facts in this movie! And it really will enhance a viewer’s understanding of the movie.